Today was madness. It was a good madness, but madness all the same. I had three magazines post a piece of mine online, and one that was somewhat vulnerable, controversial, and miraculously well-received. I wish I could tell you about when I first started writing. If I think on it long enough, I bet I could, and I shall try, but it’s 7:38 and I need to do a blog post for my Write 31 days challenge, so instead I’ll be telling you the hilarious tale of my sister’s first brilliant written story. In the 2nd grade, my quiet little mouse of a sister was asked along with the rest of her class to think of the funniest possible story and write it down. She took the assignment to heart, went home with a stack of that manila-colored triple-lined paper, and drafted what she considered to be the most hilarious story her seven year-old self could muster. I suspect the commercials for the local musical theater may have contributed to her inspiration. They were playing ads for the upcoming production of Victor/Victoria. The story was a simple one: a man liked to wear dresses. He met a woman who liked to wear suits. This was a perfect match! They fell in love and got married. The End. Now, I realize this hardly sounds scandalous. But in 1976 or so, it apparently sent waves through Crofton Woods. The teacher brought it to the counselor who brought it to the principal who called my mother and requested she come in for a conference immediately. When my mother arrived at school, she sat down across from the panel of three experts. The principal slid the story across the desk to her with a dour look on her face. My mother was understandably concerned about what the paper said. Were there curse words? Gruesome violent details? Was someone hurting my sister and she had confessed it on this page? The looks on the faces of the school officials betrayed their own concerns too readily. Then my mother read the story. And commenced hysterical laughter. When she realized that the teacher, counselor, and principal didn’t find the story the least bit funny, she caught herself and tried to recapture her concern. Which is when the counselor began a particularly bizarre kind of questioning, attempting to determine just how my sister had found her inspiration for this clearly disturbed tale. “Does your husband….enjoy wearing women’s clothing?” the counselor ventured. My mother’s laughter resumed. “Oh goodness, you’re serious, aren’t you?” she finally managed. At that point, my mother remarked that to a 7 year-old, this was merely the funniest thing she could think of, that no, my father was not into trying on her pantyhose, but thanks for asking, and that she also found it to be a delightful little tale and my goodness did they really have her find a sitter for this nonsense. I am nearly certain there was a mark in the old family file from that point on. But it does remain my favorite “birth of a writer” story. 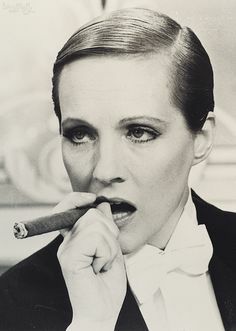 Julie Andrews was positively fierce.